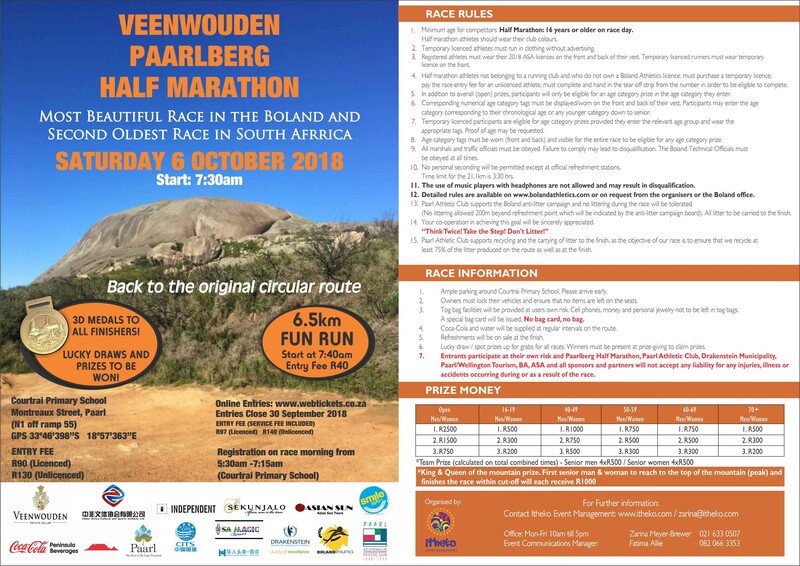 Join us for the most beautiful race in Boland and the second oldest race in South Africa. Back to the original circular route. All finishers will receive a 3D medal!